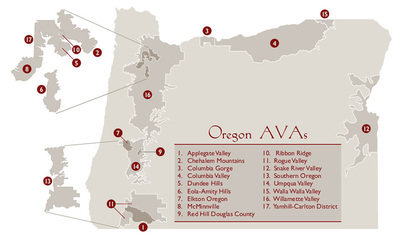 As of 2012, Oregon has been producing wine with over 400 vineyards across the state. 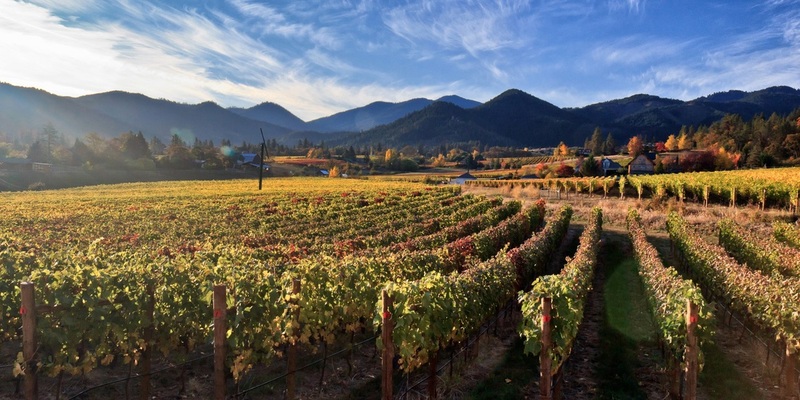 Nature being the biggest forte of Oregon, wine production benefits incredibly. Hence the reason behind this state developing an international reputation due to their wine. The memorable hills of Oregon with its glorious beaches and powerful waves are breath-taking. Its spectacular landscape inspires you to paint, even if you're not an artist. It's the type of atmosphere that creates and builds an exotic yet old-fashioned feel. The Viticultural areas throughout the state include the Williamette Valley, Southern Oregon, Umpqua Valley and Rogue Valley AVAs. In fact, parts of the Columbia Gorge lie within Oregon, such as Walla Walla Valley and Snake Valley. 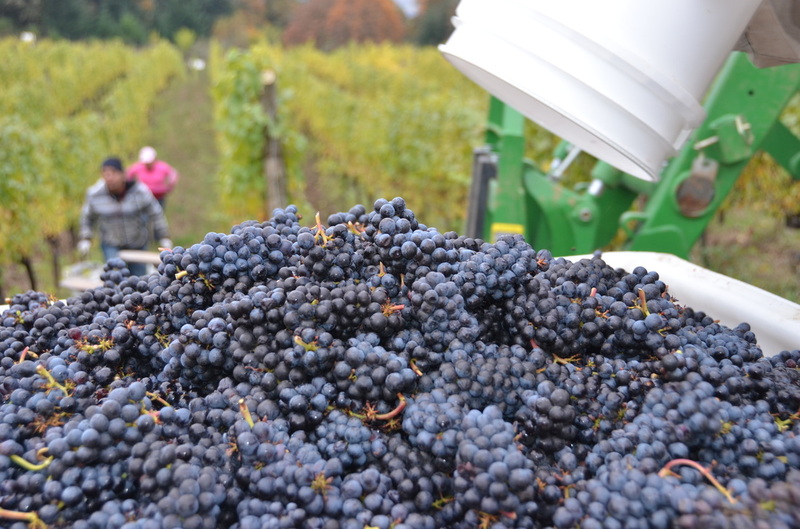 The top two grapes grown across Oregon are Pinot noir and Pinot gris. 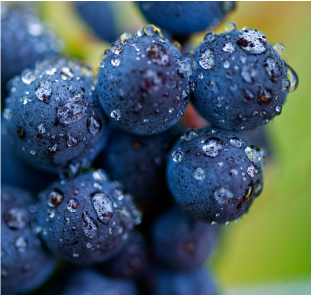 Pinot noir ripens in this state's microclimate. A lot of sun and heat in the climate will ripen the fruit and produce a lot of sugar and no acid. So the climate needs to be a cool yet warm one in order to ripen fruit at a balance. ​Scheurebe. 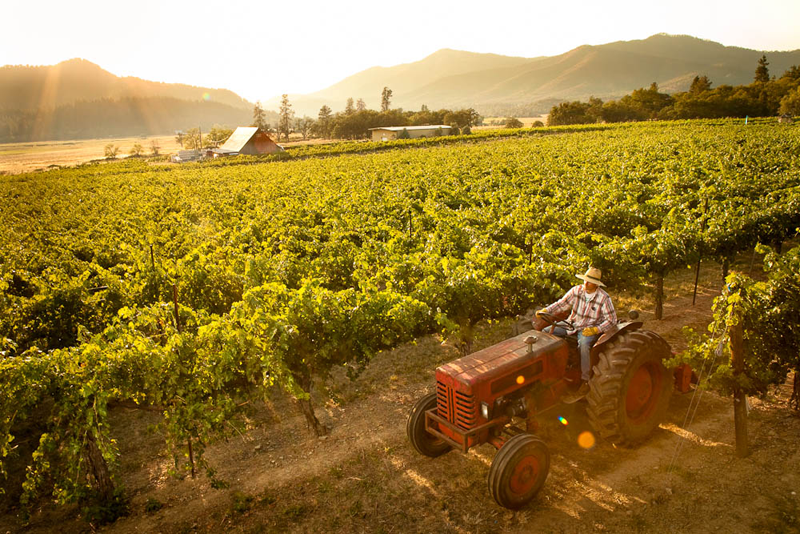 Many other grapes are produced in Oregon as their valleys and vineyards undertake over 20,000 acres. Valley View in Jacksonville was the first recorded winery in the state, and was established by Peter Britt in the late 1850s. However, after the Prohibition in the United States, Oregon lay dormant for 30 years. However, once it rebuilt in the 1900s, there were five commercial wineries by 1970. Oregon is a beautiful place to visit with shining lakes, gleaming hills and mountains designed with so much personality that falling in love with it all won't even cut it. The precious vineyards expanding themselves across waving hills, with forest trees or mountain tops encircling all around it is what you find in Oregon. 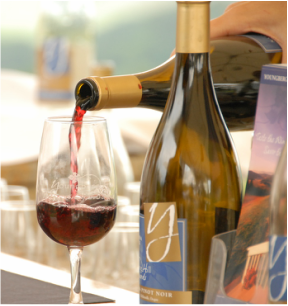 A tasting of this state's wine will not only take your taste buds away but your imagination too. ​So get some more information on this magnificent place and see why you should try their wine. There are 77 varieties of grapes grown throughout the state. 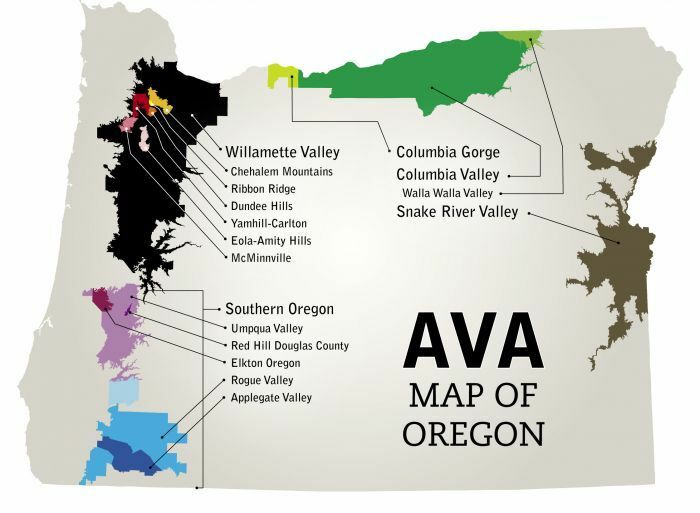 In Oregon, there are 605 wineries and 951 vineyards. There are over 300 winetasting rooms across Oregon. Nearly half of Oregon’s total area is forested – close to 30 million acres.